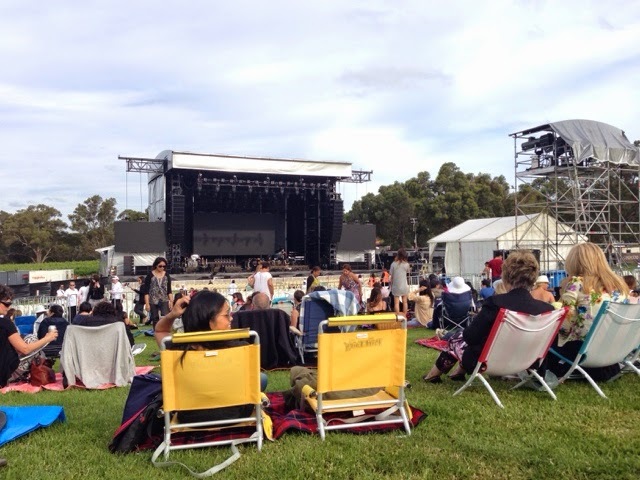 The day finally came and we get to see Ms Diva herself - Mariah Carey last night at the beautiful Sandalford Winery Estate. So let's recap the day/night shall we? The day started with so much excitement over the fact that we are going to see her live. I planned my outfit and the aim was comfort. 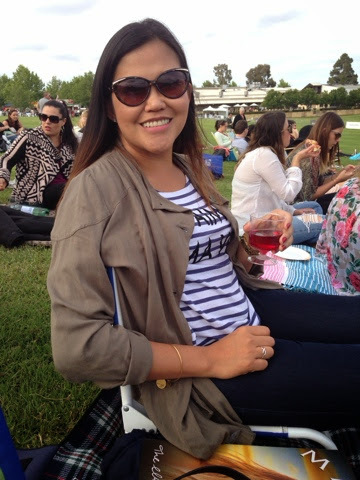 I wore my good ol' skinny jeans from Country Road (5 years old), my favourite stripey top - (Link! 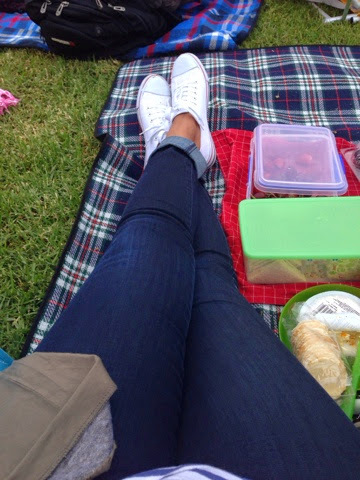 ), very light cargo/utility jacket from Katies and my white, Converse knock-off sneakers from Target - (Link!). Funny enough my date for the night had pretty much the same outfit ensemble sans the stripes. Twinsies! 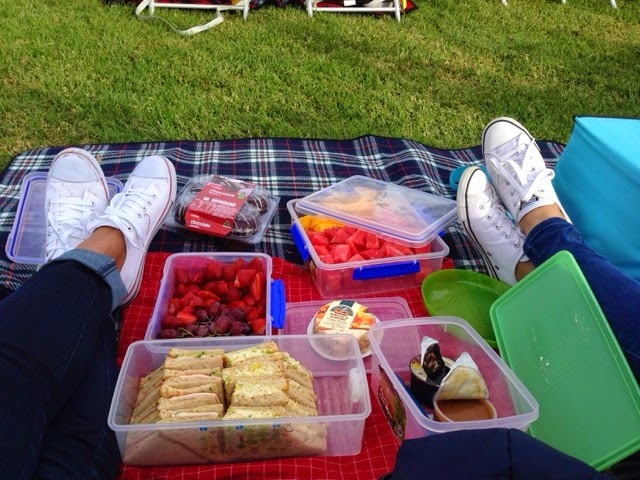 I pack our picnic food and I brought a lot which meant we stuffed our faces with food from the minute we laid our mat and set our chairs up until the second front-act came on stage (4 hours of eating maybe?). It was perfect and there were no shortage of anything. Without a doubt, calories were consumed all night long. It then started to rain by the time the front acts were done. 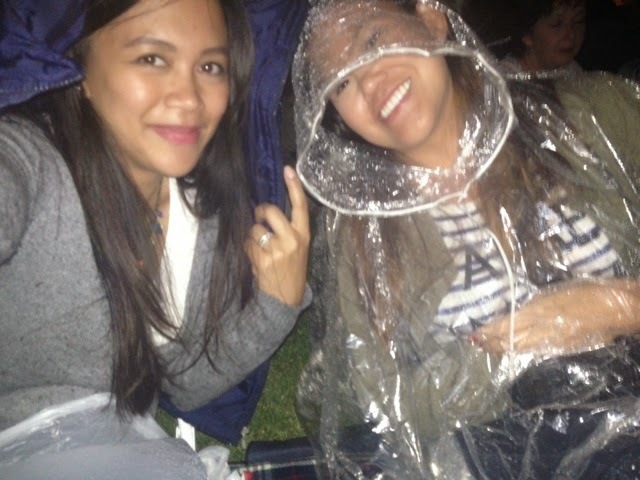 We had our ponchos on like a pro-concert goer that we are and we waited...and waited and waited. Half an hour later Ms Carey was on stage and oh boy that was an awesome intro! There were awkward dancing and awful singing on my part as I joined in the singing crowd. 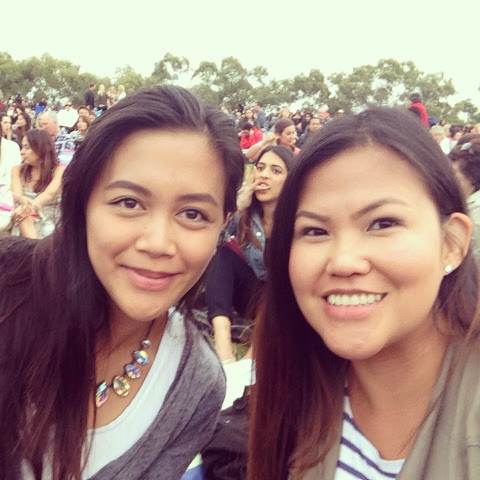 The concert was short sweet due to tardiness on her part (blame the weather). The songs in the set were cut off and it felt like she's changing the line-up the entire night just trying to prove a point that SHE is Mariah Carey. She's truly a diva but I still love her. She sang beautifully and she brought me back to my highschool days. Her girls look amazing in every single outfit she wore and even mopped the floor to prove another point! There was no encore which was sad. It's probably the first and only concert that I attended that didn't have it. boohoo. But we ate, laughed, sang and danced the night away. Here's the night in photos (from my iPhone.) Enjoy! Needless to say, my 17yr old self just had her wish fulfilled. Hope your weekend was as fun as mine! Here's a review from a newspaper online about the concert - (Link!) - Enjoy!